Swipe, get matched, flirt and date. Tinder Business Model is so simple yet so effective, that the company is now one of the fastest growing social startups and mobile applications of all time. The million dollar question is how do dating apps make money? Precisely, how does Tinder make money? So the secret is revealed after two years of operation when the company launched Tinder Plus, which grew the Tinder Revenue model stronger. But before diving deep into the Tinder Business Model, let’s have a look at this dating app first. Launched in 2012, this dating app addresses the social and physical barriers of forming new friendships and relationships. This application also won TechCrunch’s Crunchie Award for Best New Startup of 2013 because of its unique business & operating model. The Tinder Statistics clearly shows the popularity of all the dating apps across the US, where Tinder proudly stands on the first. Owned by InterActiveCorp (IAC), an American Internet and media company, which also owns more than 150 brands and products including ask.com, Vimeo, Investopedia, Match, OkCupid, etc. Have you thought of how many people use Tinder? The demographic usage depicts the popularity of Tinder among various users age-groups over the years since its launch, however, it’s most popular among the young people. Tinder Business Model gained popularity among users not only as a free app under the Tinder Basic Model but also for the paid membership under the Tinder Plus & Tinder Gold Models. The basic aspects of the Tinder app although remains same across all the models. Users create a tinder profile by logging in through Facebook. Profile pictures, work and college, interests and other basic information is imported from Facebook. These profiles play a very important role in the Tinder Business Model. Swipe is central to Tinder’s design. List of prospective matches based on geographical location, number of mutual friends, and common interests are suggested to a user. The user is asked to swipe right to like and left to dislike the suggested profile and continue the search. Tinder was the pioneer to use this feature. Introduced on October 1, 2015, with the Super Like feature, users instead of indicating anonymously that they are interested in someone by swiping right, can Super Like them which notifies them that they are interested in them. Users are three times as likely to find a match by using super like feature. Tinder Business Model has a unique selling proposition of connecting users with strangers which they wouldn’t have normally met, rather than connecting with people a user already knew. The unique Tinder Business Model to strengthen Tinder revenue is being listed down. Tinder Plus (Freemium model): The users who use Tinder Plus have access to these special features such as – unlimited swipes, passport (find a match at any location), more than 1 Super Like per day, rewind Feature (undo the last swipe), 1 Boost every month. Tinder Gold (extension of Tinder Plus): Tinder Gold is an exclusive paid service which provides all the Tinder Plus features along with the new Likes You feature, that allows you to see how many likes you have got. Shows the people who’ve liked you in a grid format, and lets you like back, dismiss, or check the person’s profile without wasting time in swiping. 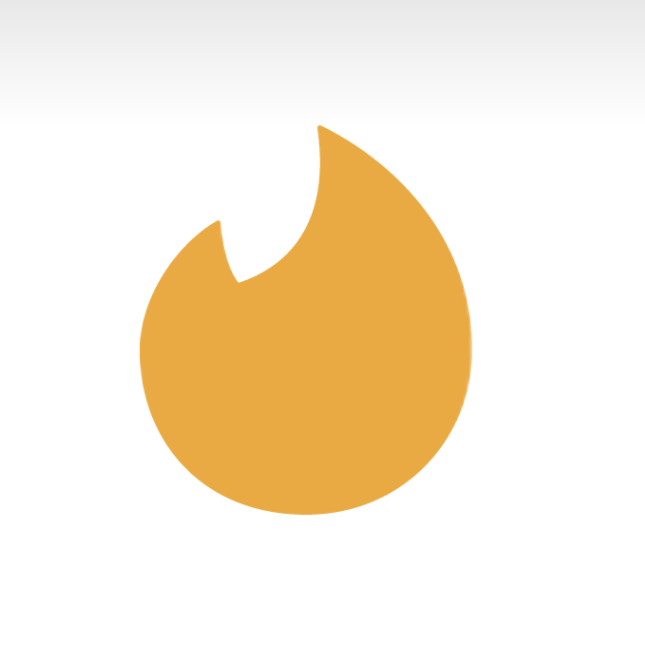 Sponsored Profiles: Tinder has smartly camouflaged the sponsored content/advertisements to its usual interface to make it look less intruding. Chatbots are usually used for this purpose. Boost: Boost makes user’s profile the top profile in the area for 30 minutes. This Increases the chances for a match for up to 10x more profile views and 3x more matches while boosting. This is how a Sponsored Profile & Boost looks like on Tinder. Online dating trends are changing & the number of Tinder users are rising. Young people are apparently happy to pay for online dating. Tinder added almost 300,000 new subscribers in the second quarter and now has almost 3.8 million total. Tinder will generate more than $800Mn revenue this year – Gary Swidler, CFO, Match Group. That’s more than double the $400Mn Tinder brought in last year, and also means the dating app will be responsible for almost half of Match Group’s projected annual revenue of $1.7 billion. Well, love comes in all sizes and shapes, just need to find that perfect match for yourself. The Tinder for X trends is breaking all the barriers of finding a perfect match by adding more niche-specific dating apps out in the market. These niche-specific Tinder for X apps are helping people meet, based on their preferences, so they don’t end up meeting someone with zero compatibility. Read more on the niche-specific Tinder for X apps here.